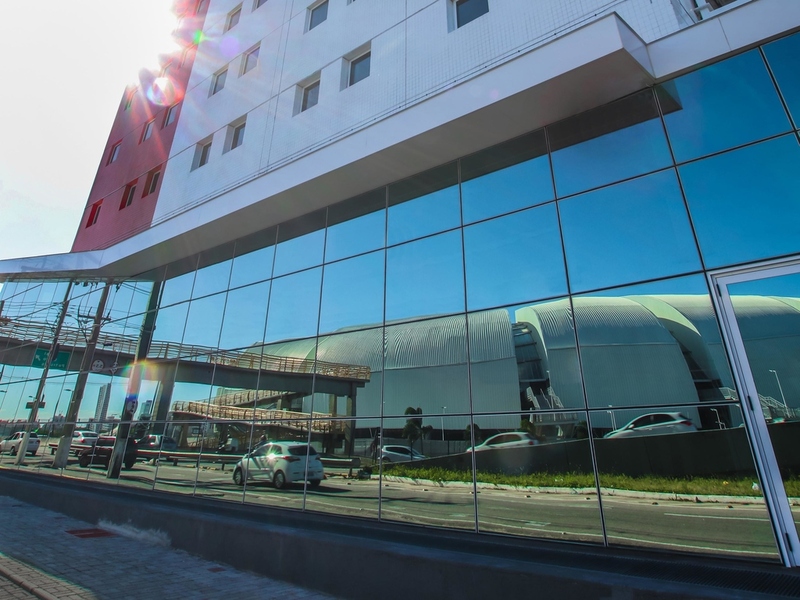 The ibis Natal Arena das Dunas hotel is located next to the Arena das Dunas Stadium, close to the city's main shopping centers and is just 18 minutes from Ponta Negra Beach. Our hotel is easily accessible from the highways linking the city and the airport and offers a 24-hour reception desk and bar, a restaurant open for breakfast and dinner, free WIFI, indoor parking and air-conditioned common areas and apartments, which also feature a safe and minibar. Dogs weighing up to 33 lbs (15 kg) are welcome. Extremely cozy and modern bar with space to seat up to 10 people.